Sea-Bird Scientific provides best-of-class sensors and systems for oceanographic research and environmental water quality monitoring of physical and biogeochemical properties. Today, Sea-Bird Scientific employs over 200 people worldwide in the development, manufacture, calibration, sales, and support of our products. 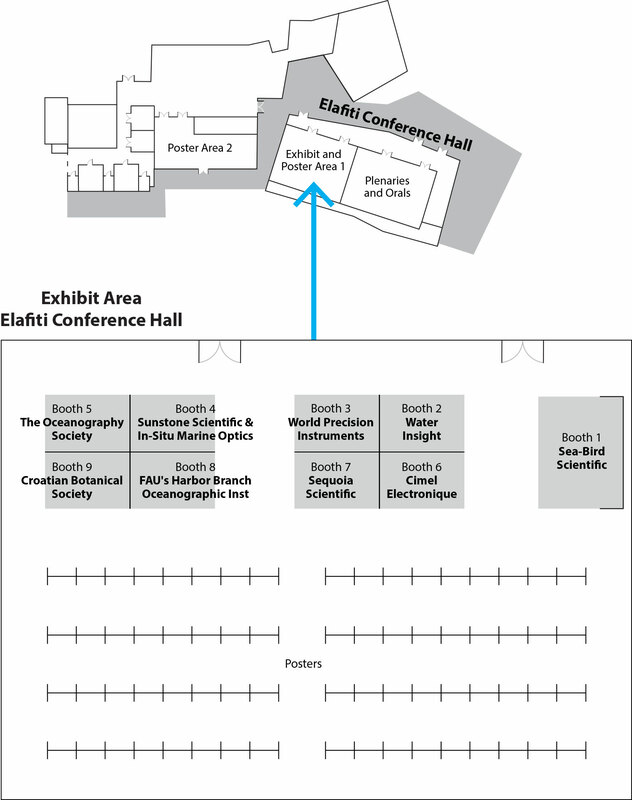 Visit us at Booth 1 to learn more about our Environmental Characterization Optics (ECO) sensor suite, Radiometers, pH sensors, and Profiling Float with Bio-Geochemical and Bio-Optical sensor systems. Our team of Scientists will be present to answer your questions. 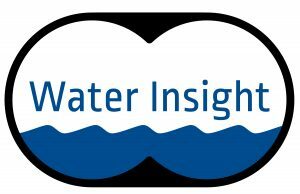 Water Insight was founded in 2005 by Steef Peters and Marnix Laanen, to commercialise and operationalise water quality remote sensing products and services. To bridge the gap between satellite monitoring and in situ sampling, Water Insight has developed its own “close sensing” portable water quality spectrometer (the WISP-3). Recently we developed a state-of-the-art fixed position instrument (WISPstation). In order to innovate and cooperate we also participate in international research projects (e.g. H2020). Our products and services are sold worldwide. World Precision Instruments is a leading laboratory product manufacturer focused on providing our customers with cutting-edge laboratory instruments at cost-effective prices. Over 50 years ago, we designed and manufactured electrophysiology equipment. Now, we are in several areas of study, the core being in tissue and cell biology, animal physiology and electrophysiology. Spectroscopy is a new, cutting-edge technology in our portfolio. WPI is a leading manufacturer in long path flow cells (liquid waveguide capillary cells, LWCC) for aquatic ecosystems. These are ideal for the detection of low concentrations of solutes of colored dissolved organic matter (CDOM) or any colorimetric based agent, like phosphate, nitrate/nitrite and ammonium. In addition, optical fiber assemblies useful in spectroscopy applications are another one of our core technologies. Our customers are at the forefront of our continued evolution as a company. After over 50 years in business, we remain committed to providing you with quality products and services at cost-effective prices. We have implemented measures such as our ISO-9001:2008 certification throughout our home office and production facility to improve our efficiency and ensure quality. We also have invested in six sigma certifications with continuous effort to improve processes within the organization. World Precision Instruments strives to provide you with quality products at the best prices so that you can get more value for less. Our core values are driven by a desire to empower you to fulfill your scientific ideas. All the instruments for where the science takes you. Sunstone Scientific is a new 2018 company based in Vero Beach, FL, USA specializing in sensor development and commercialization for ocean optics research and sensor calibration services. In-situ Marine Optics (IMO) is a developer of optical oceanographic equipment with a focus on serving the research community and developing new sensors to expand our knowledge of the ocean. IMO thrives by rapidly adopting new optoelectronic technologies, pushing the price point lower to accelerate research and community evaluation. The Oceanography Society (TOS) was founded in 1988 to disseminate knowledge of oceanography and its application through research and education, to promote communication among oceanographers, and to provide a constituency for consensus-​building across all the disciplines of the field. TOS is proud to support the ocean optics community by organizing this conference. Additional TOS activities include recognizing contributions to the ocean science community through presentations such as the Jerlov award, publishing Oceanography magazine, and providing support to graduate student members through mentoring and other programs. We encourage everyone to stop by the booth or the registration/help desk to speak with TOS staff and learn more! The oceans and more specifically, marine aerosols, have a huge impact on the climate. Atmospheric aerosols originate from a wide variety of sources in both marine and continental environments. The Ocean Color observations from satellites are the principal tool for the global monitoring of marine aerosols and water radiance. Indeed, the current systems can provide global data overview but only with low coverage frequency. They offer only coarse spatial resolution, with relevant lack of data. Cimel is a French manufacturer providing innovative remote sensing solutions dedicated to the atmospheric aerosols monitoring through global and local networks. Cimel built its reputation by being the exclusive supplier of the multi-spectral photometers of NASA – AERONET since 1992. Our core mission is to be the link between the Scientific Research Community and the industrial world by developing innovative technologies for reliable and operational solutions. Cimel is able to answer the needs of tomorrow’s markets such as air quality and climate change. The Ocean Color project has the responsibilities to collect ocean related products including the data processing, calibration and validation. In order to support the NASA AERONET-OC, new models of photometers has been developed (SeaPrism versions: BPDF and BRDF with specific ocean and lake color filters). Cimel brings a strong added value to the satellite calibration and data validation. By measuring the water radiance from the sea with installed on-offshore platforms or boats, these evolutive photometers improve the accuracy of satellites measurements.Thanks to our 50 years of experience on these fields, our solutions are recognized for their robustness even in harsh climatic conditions, with long term reliability for sustainable monitoring networks. Sequoia Scientific manufactures laser diffraction and holographic particle size analyzers. Our LISST instruments are used from the deep sea to your lab bench to measure particles from sub-micron to several millimeters. The LISST-200X (a new version of the LISST-100X) and LISST-Deep are also widely used in ocean optics for measuring forward-angle volume scattering function (VSF) and beam attenuation to depths of 3500 meters. The LISST-Holo is the first commercially available submersible digital holographic particle imaging system. Our latest addition, LISST-VSF, measures VSF from 0.01 to 150 degrees, and the degree of linear polarization from 15-150 degrees. Stop by Booth 7 to learn more. Florida Atlantic University’s Harbor Branch Oceanographic Institute is located in Fort Pierce on the Atlantic Coast. As one of the nation’s premier oceanographic centers, FAU Harbor Branch’s research community of approximately 200 ocean scientists, staff and students drives innovation in: marine science and engineering; conservation of coral reefs, studies of marine mammals and fisheries; marine drug discovery; estuarine and coastal ecology and observation; ocean dynamics and modeling; aquaculture and marine science education. Harbor Branch engages with the community through the Ocean Discovery Visitor’s Center and the Ocean Science Lecture Series. Harbor Branch’s research and outreach programs translate marine science in order to provide solutions that improve economies and quality of life for coastal communities. The Croatian Botanical Society (CBS) represents professional and amateur botanists, researchers, educators and students in all parts of the country, with members also in other countries of Europe and the rest of the world. It functions as a Croatian NGO and was first established in 2002. The organizing principles of the society were the enhancement of the study of plants in Croatia and to professionalize such efforts. Today, the Society has several distinct sections (e.g. dendrological, botanical gardens and collections, etc.). Among them, the Algological section of the CBS was established in 2009 with the aim of organized research into algae and the preservation of the genofond, taxa and ecosystem diversity and the enhancement of living resources, especially the Adriatic Sea and the valuable karstic ecosystems. In 2010 this section became a member of the Federation of European Phycological Societies (FEPS). Important activities of the Section, and of the Society generally, include the organization of symposia and workshops, transmission through the organization of information about field training, courses, summer schools, support student exchange, and the wider popularization of science.